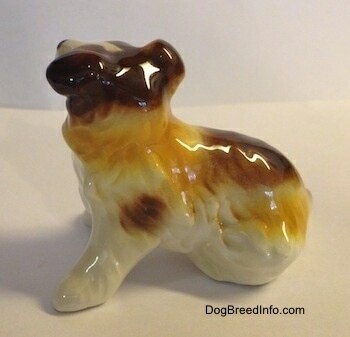 This is a vintage porcelain Goebel of West Germany Scotch Collie dog. 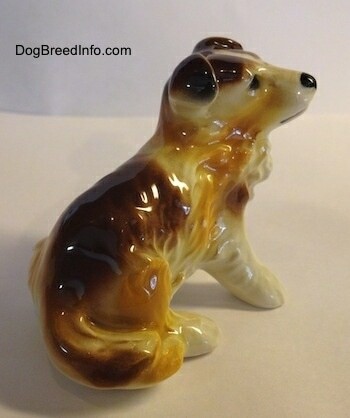 This is a beautiful glossy piece that stands 2 inches tall, 2 1/2 inches long and 1 1/2 inches wide. 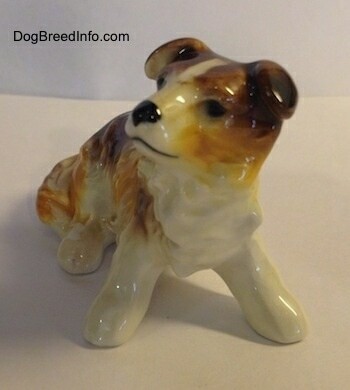 Engraved into the porcelain is the lot number that appears to read 30 107. It has a tiny bit of crazing, but has no other chips, cracks or repairs. 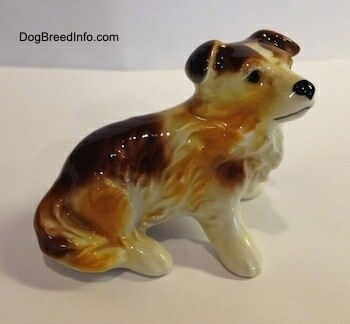 Very nice looking figurine. 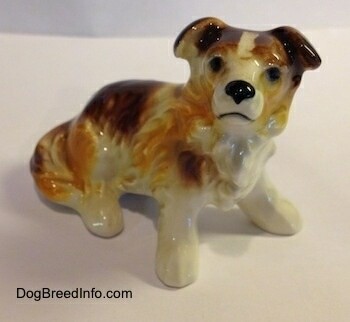 Judging by the bee inside of the V on the bottom Goebel stamp this figurine was made between 1972 and 1978 (TMK-5). 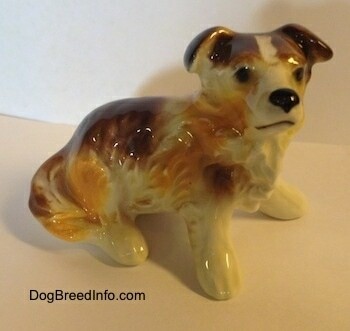 Vintage porcelain Goebel of West Germany Scotch Collie dog—image showing the Goebel W Germany stamp on the belly of the dog. 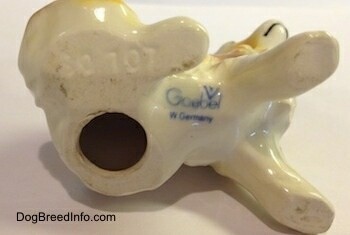 This figurine is stamped with a bee inside a V above the 'bel' in the word Goebel on the bottom of it. This would mean that this piece was made between 1972 and 1978 (TMK-5).